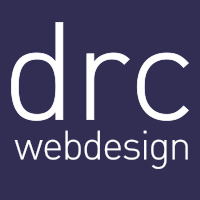 Welcome to DRC, we offer Ottawa social media marketing to a range of companies and organisations who want to reach a wider audience and communicate directly with potential customers in order to increase website visitors and leads. We are able to work on a variety of platforms and create bespoke plans depending on what you are looking to achieve. As well as this, we can also help you with pay-per-click marketing – where you can advertise on social platforms and gain a wider audience and interest in your products and/or services in a targeted manner. Simple answer. Because your customers are. There is a wealth of information out there and messages sometimes get lost in all of this. So using social media you can stand out from the crowd and become memorable for all of the right reasons. Social Media helps you create a personality for your business/organisation and build trust and authority so that people who you interact with become customers and refer you onto other customers. When a social media marketing plan is executed correctly then your return on investment far outways the initial costs. That is the aim we have for every social media marketing client we work with. To get started simply contact us to set up an initial discussion.